The MobileDevice is a tool to assess a moderate amount of plants automatically. Typical applications like germination assays, drug screening, experimental control, documentation, quality control or phenotyping can be fully automated, which saves time and costs. The MobileDevice is designed for applications in labs, climate chambers and greenhouses and scans and analyses between 5-100 plants in a single scan. 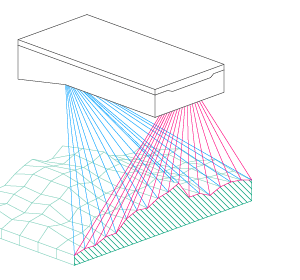 It uses the PlantEye Sensor and extracts a wide suite of morphological- and physiological parameters. 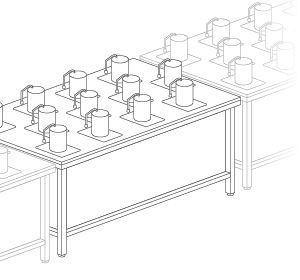 Pots or trays with plants are positioned on the MobileDevice table. 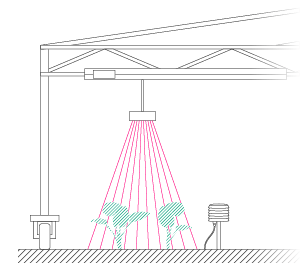 The linear position system moves the PlantEye scanner over the plants. 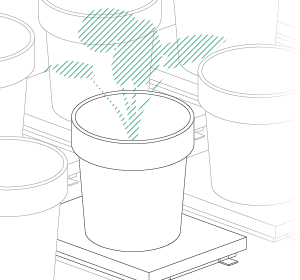 Dependent on the plant size, MobileDevice can assess between 6 and 100 individual plants with a single scan. Scans can be triggered manually or by using a timer that allows you to create time series measurements and assess growth dynamics at a high temporal resolution of up to one measurement every 2 minutes. All parameters are transferred into the database localized in the Control Box. 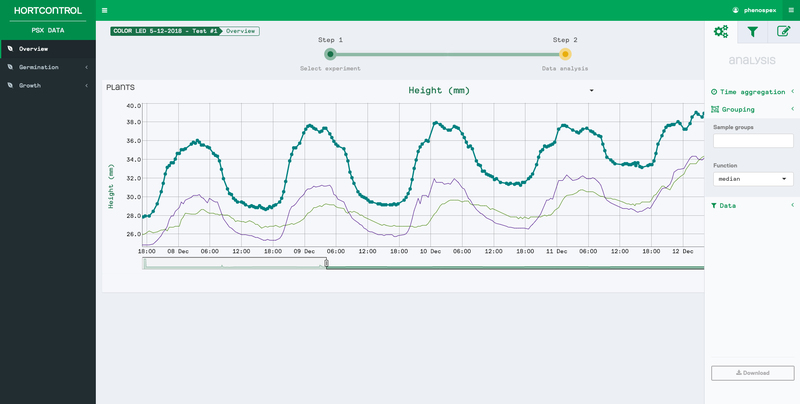 With HortControl you can visualize, analyze and access all data. Assessing the germination rates is a labor intensive- and tedious job. MobileDevice automatically screens hundreds of pots and trays fully automatically and generates germination graphs. See changes over time, germination uniformity and early vigor. Plants react within seconds and minutes to changing environments, which in many cases, like for growth, cannot be measured manually. 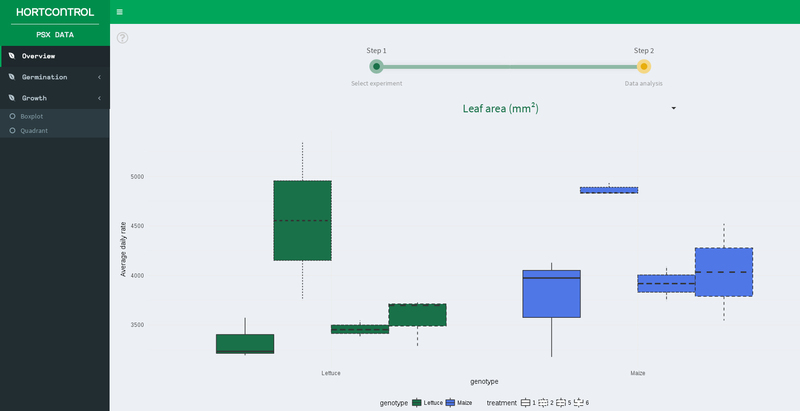 MobileDevice provides this information and measures plants in high temporal- and spatial resolution and detects changes in growth rates within hours. 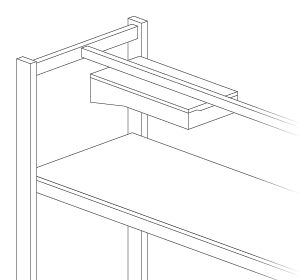 This saves time, improves accuracy and increases the throughput of your trials and experiments. Growth dynamics (height in mm) visualized over time. Due to the high scan interval you can see clear day & night dynamics. Growth analysis is a routine application in every lab. It is time consuming and only affordable for small amounts of plants. 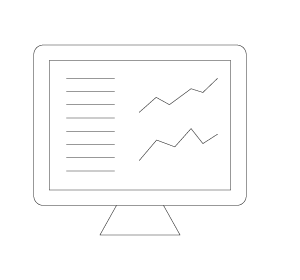 MobileDevice provides you this data fully automatically and you can scale up your experimental throughput and data accuracy. Boxplot: Effect of chemical treatment on growth. Two genotypes and four treatment groups. Humidity 0 – 100% rel.